Two injured in a single vehicle collision. Sgt. Likins was assisted at the scene by Casey County Fire and EMS. 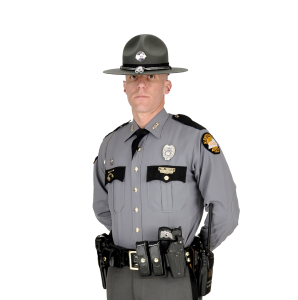 Casey County, KY (February 6, 2019) – Sergeant Adam Likins is investigating a collision that occurred on February 5th, 2019 at approximately 12:50 PM EST, on KY 49 six miles north of Liberty. Preliminary investigations indicate that Peggy Long, age 58 of Liberty, was operating a 2000 Nissan Maxima, south bound on KY 49 when she lost control of her vehicle, dropped off the right side of the roadway, struck an earth embankment, and overturned. Long and passenger, Amy Mina, age 38 of Liberty, were both wearing seatbelts and were transported to Casey County Hospital by Casey County EMS where they were treated for non-life threatening injuries. Sgt. Likins was assisted at the scene by Casey County Fire and EMS.